What agencies are doing wrong with analytics reporting. 4 steps you need to improve client analytics. Ways to monitor analytics to grow your agency business. My guest on today’s episode is Mychelle Mollot from Klipfolio. She’s got a background in engineering, analytics and marketing… which makes her perfect in her role as CMO for marketing analytics software. Mychelle talks to us about the major differences in reporting vs. monitoring analytics, plus ways you can use analytics to grow your agency. In our 2016 Future Outlook of Digital Agencies, we reported that brands are hiring 85% of brands are selecting agencies based on their ability to report and react to analytics. Unfortunately most agencies believe they’re being hired for their marketing and creativity. That means there’s a major disconnect between what clients want and what agencies deliver. Agencies are not meeting expectation in this area – but there’s hope! Mychelle says a lot of agencies aren’t reporting analytics to their clients. And if they are, it’s a pretty generic monthly or quarterly overview that gets rolled up and presented in a neat little Powerpoint. That’s the problem, though. It’s a recap of what has already happened. If there’s a change in numbers you might be able to explain why, but you can’t do anything to correct it. Instead, agencies should be establishing themselves as a valuable asset by bringing business growth ideas and strategies to the client when it’s relevant. Change your mindset to use data proactively. Work with your client to identify the most important metric(s) for their business. Monitor key metrics in the moment (daily or every 2-3 days). Use real time data to proactively change strategy and impact the client’s business. Create new opportunities with existing clients. By monitoring analytics you can leverage your knowledge of real time analytics to pitch new projects to your existing. If you see an area that needs improvement or a different direction the client should be take, present those opportunities to the client with the data. You’re a digital agency but sometimes you’re more like the shoeless cobbler. You can use real time analytics to monitor your agency’s marketing. Just follow the 4 steps above and learn what’s working and what’s not. 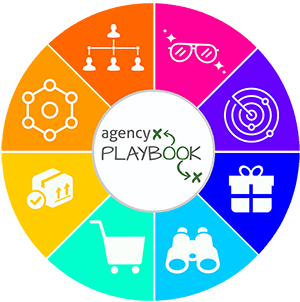 Tweak things proactively to impact your agency business. Agencies who provide analytics reporting usually do it as a built in service. However, if you are continuously monitoring activity there is potential to charge for this service. It can become cyclical this way… you charge to develop the work, you charge to monitor the progress and you charge for new projects that you discover through monitoring. The KEY is understanding that monitoring is so much different than just reporting. The opportunities and growth potential is limitless. Klipfolio is a tool that is helping agencies achieve continuous monitoring. It is cloud-based software that allows you to define KPI’s based on your preferences and filters. With 50+ built-in marketing metrics, you can create a dashboard for yourself and your clients which can be viewed on desktop, mobile or old-fashioned PDF. I’ve played around with Klipfolio and it’s a pretty awesome tool that can give you an edge over your competition. For a limited time, Klipfolio has a special deal for my listeners. 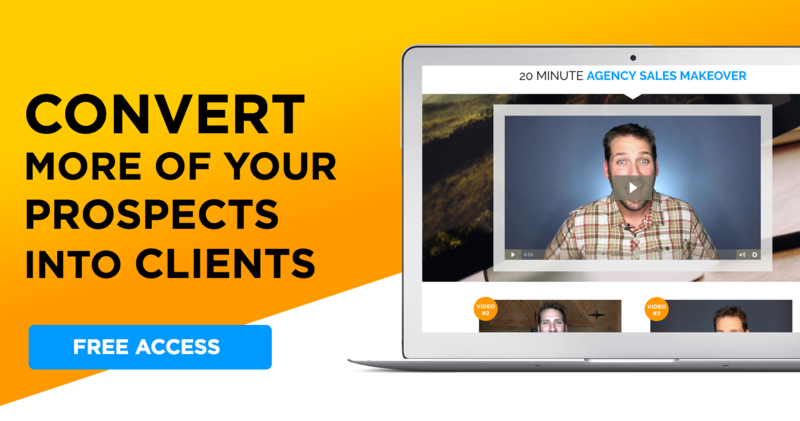 Get a FREE TRIAL and an amazing offer just for The Smart Agency Master Class listeners at Klipfolio.com/SmartAgency.